Gear up for the ultimate sculpting lesson. Contouring isn't just for the pros. 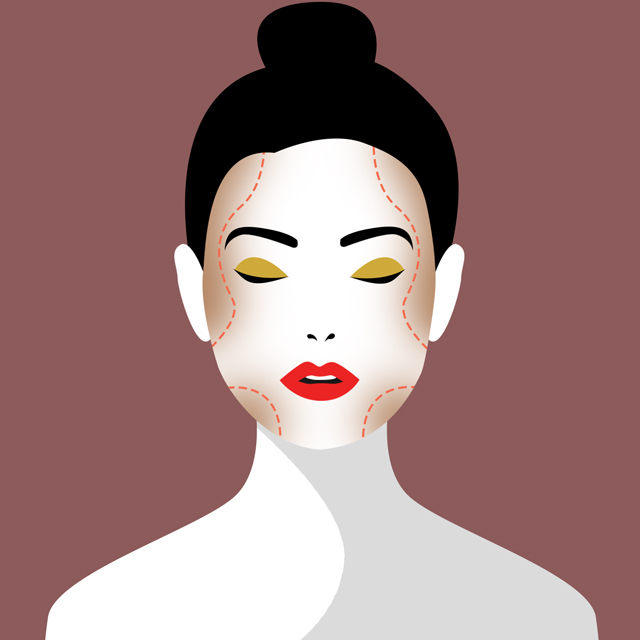 Here are all the basics you need to master the art of face sulpting. Although Kim Kardashian does deserve some credit for making contouring more mainstream, it's by no means a fleeting online beauty trend. Makeup artists have been sculpting faces for decades, and it's definitely one of those things that perfectly demonstrates just how transformative makeup can be. A few sweeps here and there will grant you everything from a more defined cheekbone, to a narrower forehead, to a smaller face even! It's all about playing around with light and shadow and working them to your advantage. These sticks can be used all over the face as concealer, contour, and highlighter, thanks to the impressive selection of shades. It even has several neutral colors perfect for contouring (more on that later! ), in addition to their the matte finish that helps it last all day. For a soft and easily blendable contour, grab a slightly darker shade of this cream foundation and buff into your skin with a brush or a sponge. What's great about using foundation to contour is that it'll easily fuse with your base makeup and you won't have trouble trying to blend out a harsh line. When applied sparingly, the soft and often matte texture of powders allows for a non-reflective and therefore realistic contour. 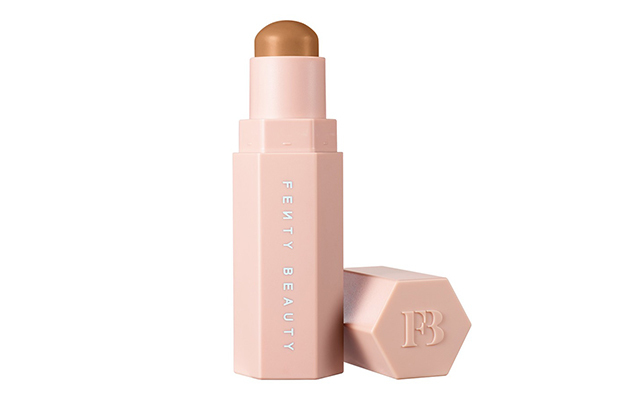 It also tends to be the most longwearing, making it ideal for oily skin or those who prefer to have a matte base. The one downside to powder contouring is that you need a brush to apply it, but other than that, it's a formula that beginners can quickly master with a light hand. 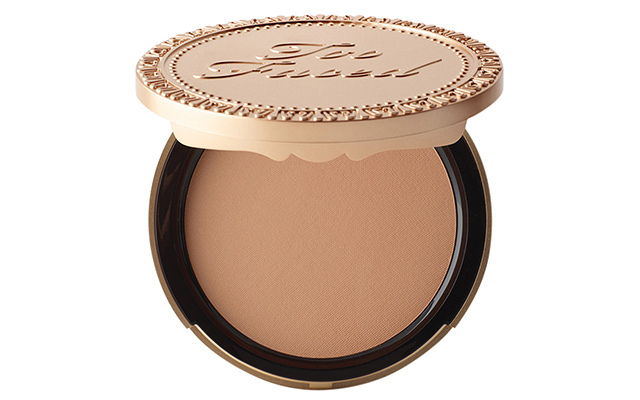 This warm-toned powder is just the thing for achieving a naturally sunkissed look. 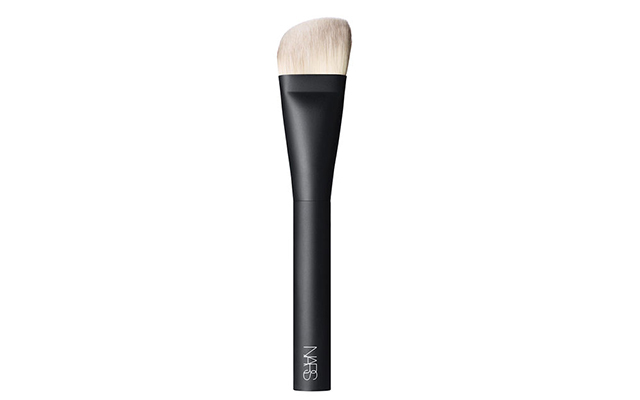 Use the flat kabuki brush that comes in the box for a precise sculpt! 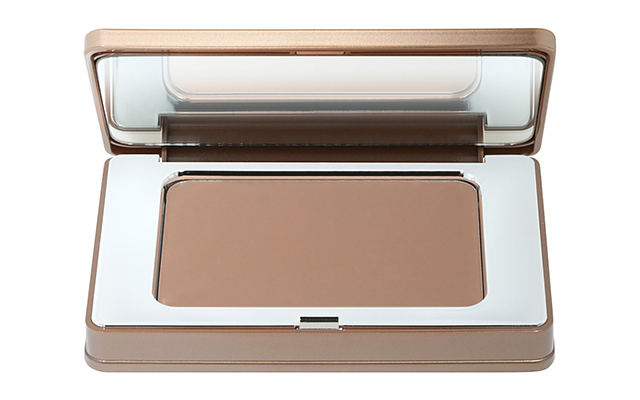 The color of this sculpting powder is a neutral, grayish brown that will cast a natural-looking shadow on your face. The best part? 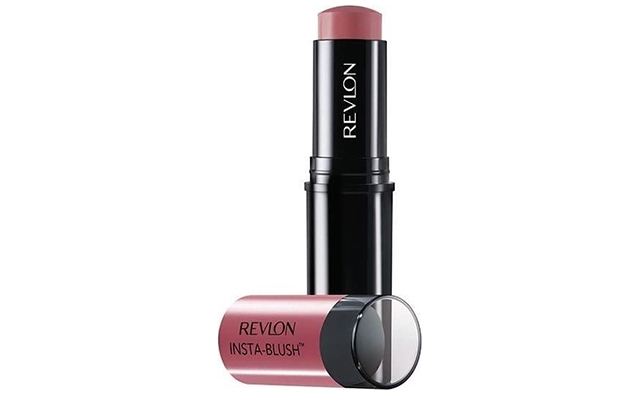 It comes in a portable compact, too, ready for any midday touchups! 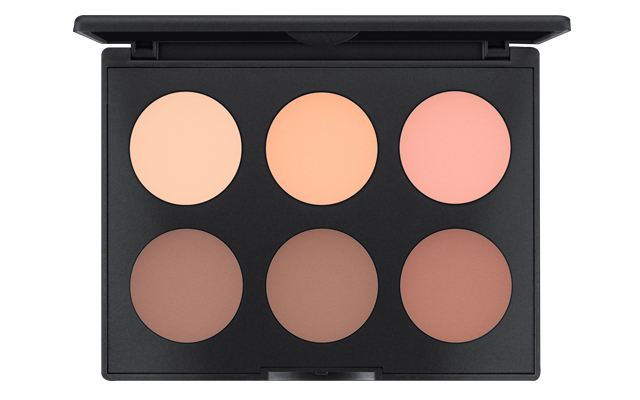 Contour palettes are the best options for professional makeup artists who want to downsize their kit. 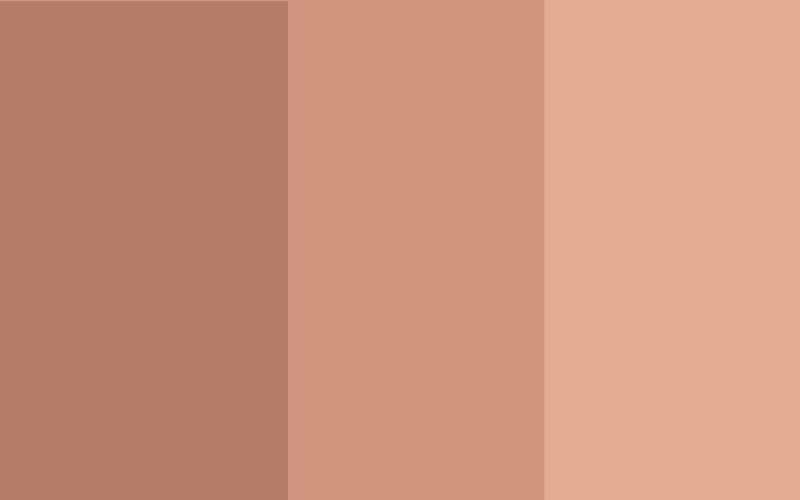 The reason being palettes contain shades that cater to more than one kind of skin tone, and most of the time, they'd include highlighting shades as well. Then again, if you just love makeup and want all the options ready when you need it (like Halloween), a palette will save you from having to buy a new product altogether. 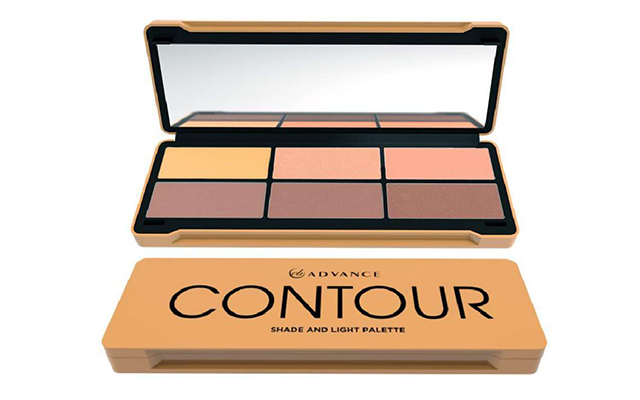 The six shades of this palette includes three contour powders and three subtle highlighters that suit a specific range of skin tones. What the Light/Medium and Medium/Dark palettes do have in common, however, is that both can help you create a natural sculpt. You don't have to worry about uncalled for shimmer in this affordable kit, because it has only matte shades—six of them, if we may add. Even the highlighters, which come in an interesting array of colors like yellow and light peach, have no shine in them whatsoever. Basically, if you have oily or textured skin, you might want to check it out. The color you use for contouring can make or break your look, as its main purpose is to give your face a shadow and not to have you looking muddy. Hence, to create the illusion of a more defined bone structure, consider a shade according to your skin color, undertone, and of course, your personal preference. Neutral browns with hints of gray are your safest choice for a natural sculpt. The gray tones provide a shadowy effect to the contour itself, making it appear more realistic, though it won't look too out of place and ghostly thanks to the warmth that the brown adds. In short, it's the best shade for creating that optical illusion. 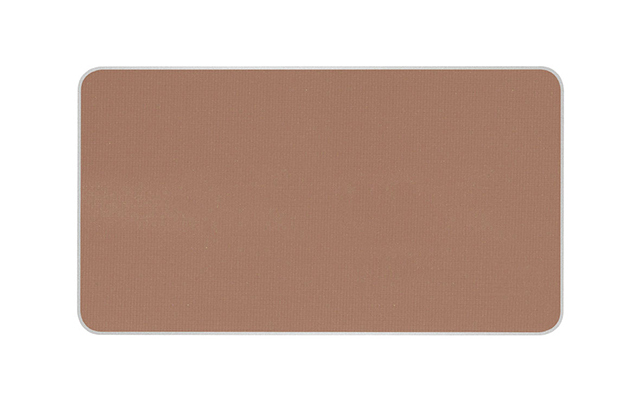 The "bron-tour" technique uses a muted, warm-toned brown to do the work of a bronzer and a contour product at the same time. 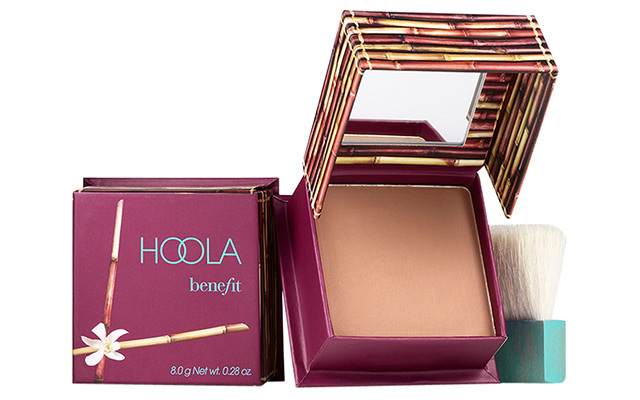 It'll give your skin a sunkissed look like a bronzer, but when applied lightly on the hollows of the cheeks, temples, and jaw, it'll softly sculpt your features. Those with yellow or olive undertones suit this trick best, but cool-toned ladies can make it work with a less pigmented formula. Blushes with a deeper tone and a hint of brown can work for contouring, too! A berry or pink blush with a cool undertone will do—no reds, please. Apply it a little below the apple of your cheeks to add some color and dimension, and maybe opt to lightly drape the color on your temples like they did in the '70s. Contouring helps add dimension to your face, and to do this, deep colors are applied to mostly the outer perimeters, like the forehead, temples, and jaw. The general goal is to achieve a balanced look like that of an oval-shaped face, which is neither too wide nor too long. Thus, effective contouring varies depending on what your face shape needs. Round faces, for example, require shading on the temples and jawline to add sharpness. To soften a square face, contour your forehead and your jawline. Heart-shaped faces require a combination of forehead, temple, and jaw contouring, plus a little extra on the tip of the chin to reduce its sharpness. Meanwhile, those with oval faces would only need to lightly define areas that might lack a natural shadow such as under the cheekbones and the jawline. 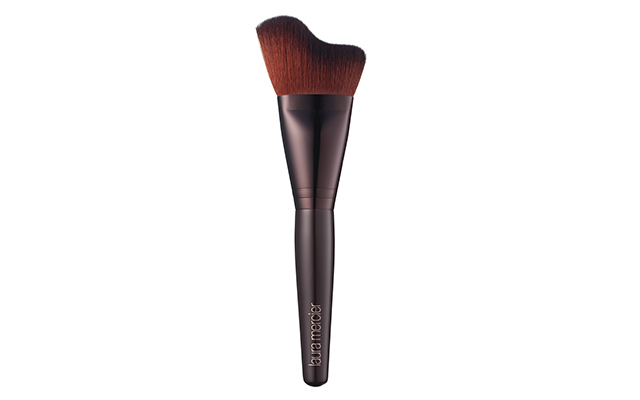 Preferred by makeup artist Rick Calderon, angled powder brushes are cut asymmetrically to apply product smoothly under areas tilted at a similar angle, such as the cheekbone and jawline. 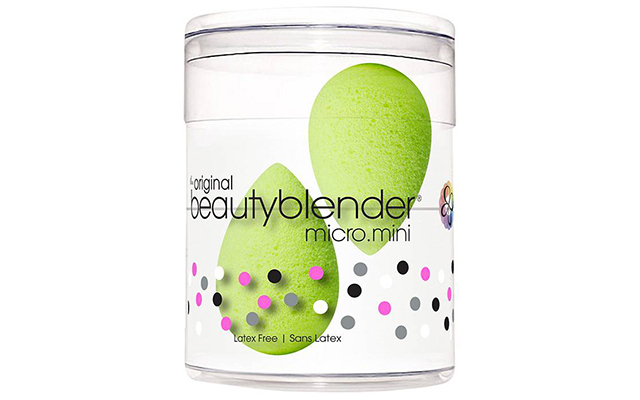 It's an easy-to-use and effective tool for achieving both a soft and more defined contour. If an angled brush was snipped at the center, you'd have this shape that's made to follow the contours of your face. If you have trouble finding the correct placement for your contour, this kind of brush should solve that for you. 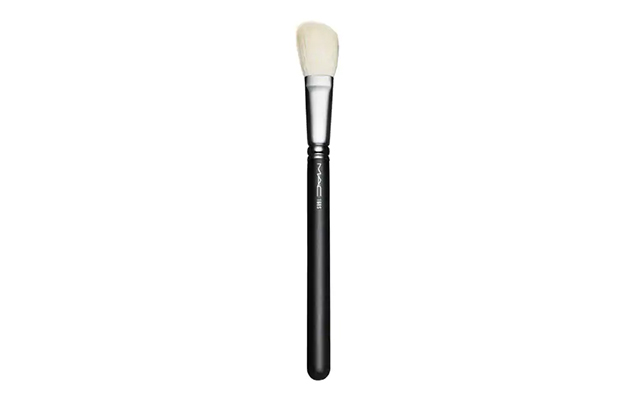 The paintbrush-like feel of this tool means it's perfect for laying down your cream contour precisely and smoothly. To make washing easier, opt for one with synthetic bristles that are less likely to be stained. Or, apply/blend with a makeup sponge. Unlike brushes, sponge can diffuse and absorb excess product at the same time, which is ideal for creating a softer sculpt particularly if you're using creams. 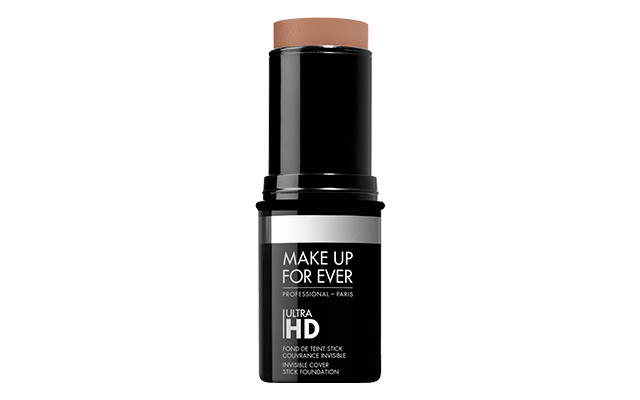 This sponge doesn't only work for concealer, it's great for softening contour lines as well. Don't underestimate it for its size either, as the tiny egg shape allows precise blending for the nose. 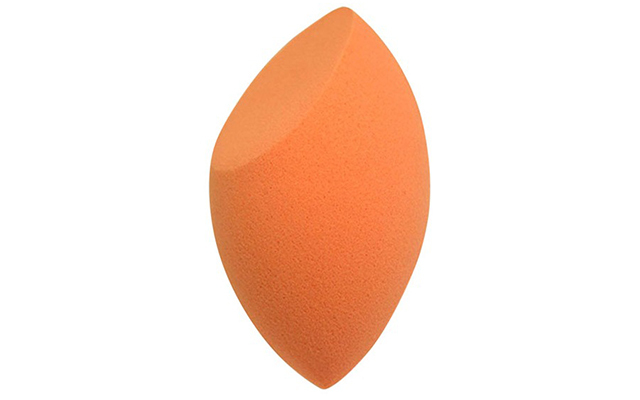 One of the best features of this sponge is that it has both a round and a flat edge for versatile blending. On the rare occasion that you blend too much, use the straight tip to clean up your contour! Contouring your face without looking like you did poses quite a challenge. You'll need not only a light hand, but also a good set of products and a knack for blending. When it comes to an almost invisible chisel, MAC makeup artist Don de Jesus stresses the importance of choosing the right color for sculpting.  Find out what your specific skin tone requires, although avoiding anything that's too gray, red, and orange is a good rule of thumb for everyone. Avoid harsh lines by blurring the divide among your highlighter, blush, and contour, to the point where you can't tell where each of them starts and ends. Using a fluffy brush to apply product will definitely help, as a small and stiff one will require you more muscle (and time) to create a soft look. Lastly, building your contour's intensity slowly instead of slapping tons of product onto your face is key in preventing a less-than-perfect job. Take your time! Sticking to cream products are best for a natural effect as well, even more so if your other cheek products like blush have the same texture. One of our favorites tricks is the 1-2-3 technique, which uses different makeup sticks to create a quick and easy face routine. 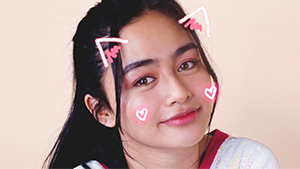 It starts off by applying straight lines (like the number one) on areas you'd like to highlight, before moving on to drawing the number two on your cheeks with a blush stick. For step three, a contour stick is used to draw—you guessed it—a number three that traces the temples, hollows of the cheek, and the jawline. A damp sponge is your best option for blending here, because it'll instantly get rid of the demarcation lines for you. This Cream Contouring Technique Is a Genius Makeup Hack! In contrast, a defined contour is all about maintaining a line that visibly cuts the cheekbone for definition. The most effective technique we've found for this is the "clean-up," where you contour as you normally would and sharpen the look after. It's actually quite simple to do: Grab a makeup sponge with a flat edge or a foundation brush, dip it into some foundation or a light-colored powder, and apply it over the contoured area, specifically where you want the line to be.